At long last I am fulfilling the second definition of Vin Vivant. Readers – Hi, Mom! – rejoice! I've recently returned from a trip to Walla Walla, Washington, where Brooklyn Beer Geek's family lives. I'd been here once before but didn't do extensive wine tasting on that trip. We spent five glorious days in Washington's wild east to right that wrong. Here are my top picks for wineries to visit and suggested itineraries for exploring the vast wheat-and-grape-filled plains of the Columbia Valley. Just call me your Walla Wallah! L'Ecole No. 41 – If you happen to be flying into Pasco Tri-Cities Airport, L'Ecole is right off of Route 12 on the way to Walla Walla. The tasting room staff is friendly and knowledgeable, and although the label has recently matured from the childlike watercolor drawing of the winery to a sepia-toned picture, the wine is just as fun and crowd-pleasing as it's always been. I've long been a fan of its Chenin Blanc, but this time, the Syrah-Grenache blend was my top pick. Long Shadows – Also off of Route 12 is Long Shadows Winery, a dream-team consortium of parachute winemakers who work their magic on Washington grapes. We tasted through all seven wines, including a memorable Riesling by Armin Diel of Schlossgut Diel and a Super Tuscan, or I guess Super Walla Wallan, by Ambrogio and Giovanni Folonari of Tenute Folonari. Long Shadows' Chihuly tasting room is an impeccably styled facility that looks down on the winery's high-tech cellar. donation from Kyle MacLachlan, a local, friend and vintner. As we munched on cheese and sipped Cavu Barbera, Pierre-Louis mentioned that Joan was busy baking a pie for Paul Gregutt, likely the region's best-known wine writer. Walla Walla seems to be a small world of delicious food and drink. I could hear the wheels of entrepreneurship spinning in my homebrewer-fiancé's head. Our favorite cheese was the Larzac, the Monteillets' signature offering. With a grape leaf wrapped around the bottom and a layer of ash in the middle, it's pretty to look at, too. We bought a piece to bring home and later enjoyed it at room temperature with the 2011 Va Piano Vineyards Bruno's Blend Sauvignon Blanc – a perfect pairing. àMaurice – àMaurice's lavender-flanked entrance continued our feeling of being in Provence after our Monteillet visit. We were met by sales manager Laura Robinson and led through a tasting of its Syrah, Cabernet-based Bordeaux blend, and Chardonnay, all distinct and evocative of their origins; the lavender imparts a distinctive perfume to the estate wines. We bought a few bottles of Syrah and vowed not to open them for a few years. Pepper Bridge and Amavi – Apart from L'Ecole No. 41, these two sister labels are probably the best-known out of Washington's ever-growing list of producers. As veraison, the coloring of grape skins from green to reddish purple, had begun, both wineries were bustling with action. It might only be a matter of weeks before grapes need to be picked and crushed. When we walked through the production area, winemaker Jean-François Pellet and his team were huddled around a cell phone on speaker perched on a barrel. Both tasting rooms hosted multiple tasting groups in the time we were there. A long table was being laid for a journalist lunch. I really felt the process of winemaking here, especially as we received a very thorough facilities tour from partner Eric McKibben. We picked up a few bottles of the Amavi Semillon, for Chris' grandma, a longtime mailing-list member and white-wine lover. is a painstaking labor of love, or wonder why wine is "expensive," just look at what's happening in this photo. Fourth-generation Walla Wallan and self-taught winemaker Justin Wylie planted all 20 acres of his estate vineyards himself, complete with driving in every post, stretching wire between each, and, yes, manually wrapping spiral clips around irrigation tubes. When we walked around his vineyards and he mentioned that he'd be ripping out a few rows to plant Malbec, I felt a pang of pain. But such is the life of a vintner: You can't be too tied to what you've done in the past and always have an eye to the future. We tasted Justin's Cabernet Franc and Syrah, and later at home, his Sauvignon Blanc and Cabernet Sauvignon. I can't wait to taste what he'll do next. Va Piano, Italian for "go slowly," is a little slice of Tuscany in Walla Walla. Pack a picnic to enjoy at the tables here, and admire Justin's handiwork. His friendly pup, Duke, just might join you!  Waters – The loops on Waters' logo mirror the meandering way in which winemaker Jamie Waters speaks. A former rocker and record shop owner, he can tell you exactly what albums certain customers of his bought, past and present ventures of an old high school friend that he ran into in Brooklyn, and it follows, many minute details about the wines he makes. Syrah is his favorite grape to work with, and Waters' take on this chameleonlike variety was truly unlike any of the others we tasted. It's the one I'm still thinking about now that I can only describe as ethereal. As we had to rush to another appointment, we didn't have the opportunity to buy any Waters wine, and we're kicking ourselves for it now. We won't make that mistake on our next trip, especially as the checked bag fee is waived for one properly packaged box of wine on any Alaska Airlines flight departing from Walla Walla, Pasco, Yakima or Santa Rosa airports. Brasserie Four ­– Having studied abroad in Belgium, I've had a few lifetimes' worth of moules frites. But I have to say that this Main Street gem's rendition was incredibly delicious, and Brasserie Four's varied beverage list was another plus. I can still feel the lacy crunch of the fries; I am told that this texture is achieved by freezing the fries after blanching, and then deep frying. which is owned by the same folks as Saffron. La Monarca II taco truck – In the Napa Auto Parts parking lot on East Issacs Avenue is a truck you can bring $10 to, get lunch for three, and $1.50 back in change. I highly recommend the horchata and Walla Walla sweet onion taco with fresh avocado. The onions – Believe the hype! Walla Walla Sweets are available throughout the summer but when we went to Klicker's, a magical emporium of fresh produce, pickles, jams and antique knickknacks, the clerk stacking the onions said the ones he was putting out were the last of the season. We grabbed seven. 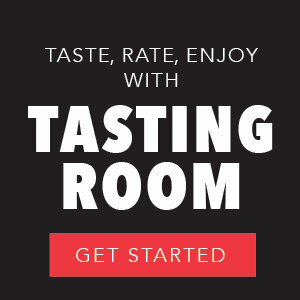 Downtown tasting rooms - You don't need to venture to the wineries to taste what this area has to offer. In downtown Walla Walla, there are scores of tasting rooms, some of which require calling ahead to arrange an appointment. We meant to go to Rôtie Cellars, a tip from a woman at L'Ecole, but unfortunately they weren't open. We'll add it to our list of places to check out next time.